Notes: Chicken fajita pizza is one of my staples. 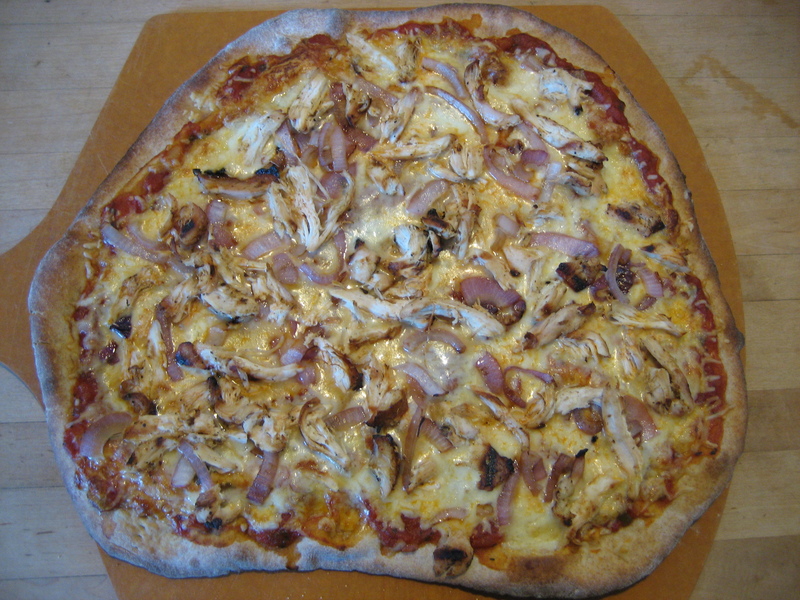 The difference between this version and one I posted a couple years ago is that the chicken for this pizza was cooked on the grill and I used mozzarella cheese rather than cheddar cheese. This entry was posted in cheese, chicken, meat, mozzarella, Onion, pizza, pizza sauce, salsa, sauce, Summer Recipe. Bookmark the permalink.